Empowering The Youth Out of Poverty. When I was younger, I used to listen to my father talking to his friends about the difficulty of his job in banking and finance. I’ve seen them compare and discuss their jobs and I listened intently to what exactly made their jobs stressful. On one occasion, his friend pointed out how he, as a teacher, found the teaching profession very hard for it carried a big responsibility: to nurture and inspire children to finish school and use it to secure a stable job in the future. Someone once said, “Teaching is the one profession that creates all other professions.” We can relate this statement to the sentiment of my father’s friend. A teacher’s job is a huge responsibility because educating the youth today can give them the ticket out of poverty. However, despite any hard-working teacher’s dedication to educate the youth, there are still problems today’s global education faces to obtain THE education needed to lead the youth out of poverty. The most common problem every educational system faces in every country is the lack of educational support each gets from each government. The lack of supplies, uniforms, study materials, libraries and financial support are problems students face in developing countries such as the Philippines, Pakistan and Nigeria. Most families in developing countries consider education a privilege or a luxury only enjoyed by the rich. When education seems out of reach for most people around the world, a series of disadvantages for the youth arises. This leads to the youth bearing their own children who will be facing the same problems on poverty in the future. Lack of education would also lead to oppression in the economic and political levels. These people would also have little access to the basic necessities required to live a good life: health care, good nutrition and proper housing. Without the right access to these necessities, the mortality rate for these developing countries are high. According to statistics, for every 3.5 seconds, one child dies because of poverty. Given this alarming fact, the best way to take the youth out of poverty is to empower them through education. Various scholars and institutions around the world such as World Bank, U.N. and Harvard University, pointed out that education is one of the most powerful instruments to fight poverty and inequality. 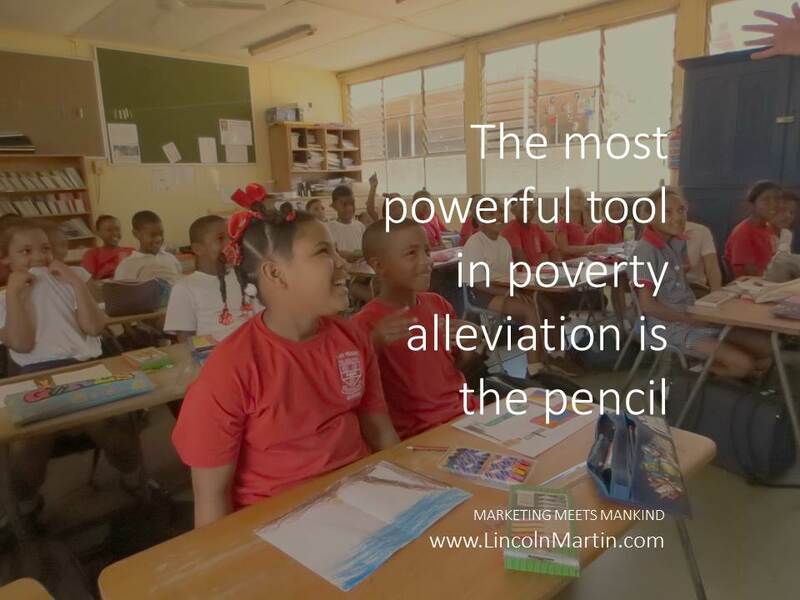 We on the other hand firmly believe that education is the most powerful strategy in poverty alleviation. International agencies such as USAID (US Agency for International Development) focus on programs related to the reading skills of children in the primary level, strengthening higher education programs and developing opportunities for workforce, providing educational access to regions affected by political crisis and fostering innovation in education. With these programs, USAID would lead the youth to a better educational system and improve the way of life to those affected the most. Another problem developing countries (and even first-world countries) face is the alarming increase of the high school dropout rate in the education system. These dropouts have fewer prospects of employment – even the blue-collar jobs like welding. Some of the most common reasons why young people drop out of school is are the lack of interest in learning and the need to find a job to support the family. With the increase of the dropout rate, more young people would slip themselves into poverty and become a nuisance to the society. Suggestions on how to decrease the dropout rate include using “service-learning” to make the curriculum interesting to encourage students to stay in school. When these students see a connection to their potential job and getting an education, they become more determined to get a degree and pursue their dreams. Service-learning has been proven to improve the attendance and academic achievement of students. Unfortunately, this is not offered by majority of schools. This is the part where educators come in. They have an important role that needs to be taken seriously. Teachers have the capacity to inspire a lot of students to have passion in learning. Inside any learning area, these educators become responsible in how they mold the youth into becoming professionals – doctors, scientists, engineers, artists, lawyers or politicians. Their relationship with their students can make or break the students’ perception on education. With the right support and proper educational system, these teachers would be able to empower children to fight poverty by getting an education. When the youth becomes educated, they would become law-abiding citizens who can provide a good life for their families. The social change effect would benefit the economies of their countries and provides a good future for the next generations to come. In this way, poverty can end and the world becomes a brighter place for the next generations.